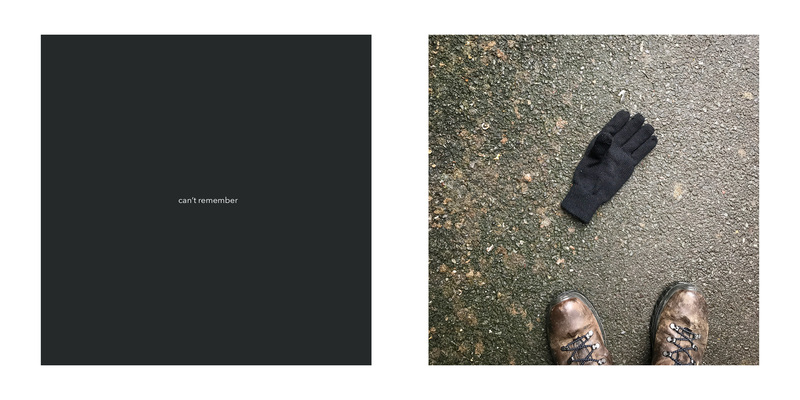 Losing a glove is, in a small way, a peculiarly disorienting experience. You lose something that leaves behind its mirror image to remind you of the loss. Seeing items that other people have left behind in public reminds me of my own memory lapses over the years (well, the ones I can remember, anyway). 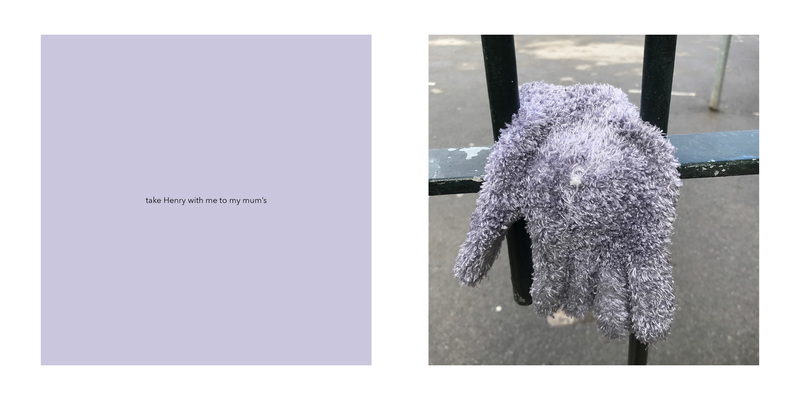 I’d already been collecting photos of lost gloves for a few years when I started investigating aspects of memory as part of my photographic practice. I’m particularly interested in the unreliability of human memory. The two threads became connected in my mind. Everybody loses something every day, though usually just a memory, and it’s usually unimportant. Usually. Evidence of other people’s lapses of attention or memory reassures me that I’m not alone in my forgetfulness; at the same time, it triggers an oddly symmetrical train of thought about remembering forgetting. 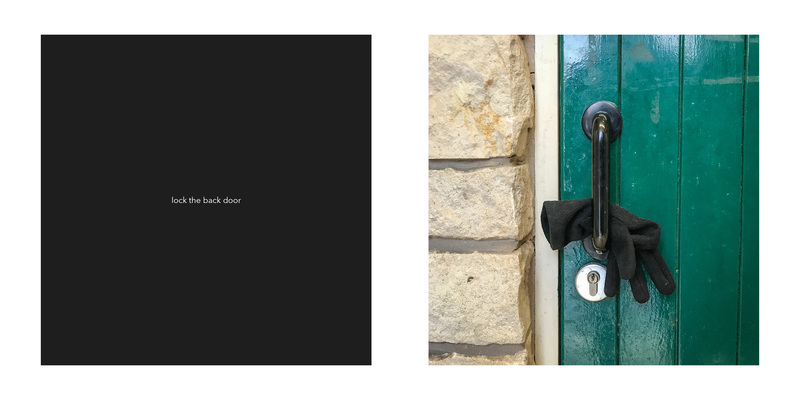 With these images I want to capture a middle-aged sense of realising that you’ve forgotten something: a fleeting moment of panic followed by the nagging sense that this forgetfulness might be symptomatic of slowly losing your faculties. The physical presentation format is a book dummy, a copy of which has been sent to my tutor. 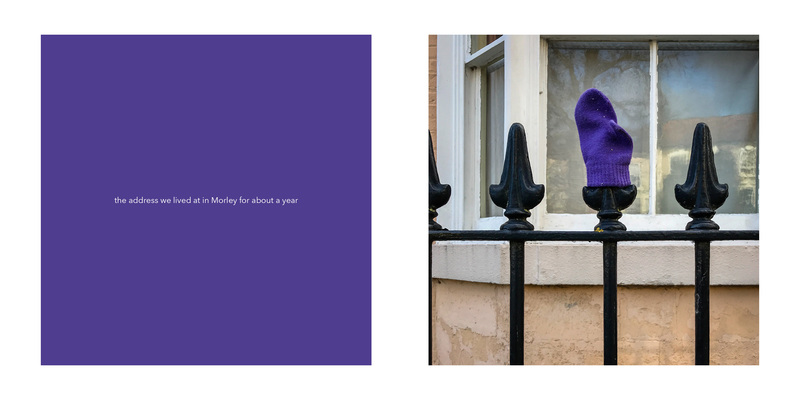 There are two online presentations here: first a video of the book, followed by a gallery of images on this page. The latter is viewable as a slideshow by clicking the first image – better for reading the text. Again I have produced an assignment that is not an extension of its predecessor but is a different concept and visual style. The eclectic nature of the earlier experimentation has helped me to get to this point but I recognise that I need to hone in on my theme and intention. I am however now confident that this is the general direction in which I wish to proceed for the remainder of this Body of Work. 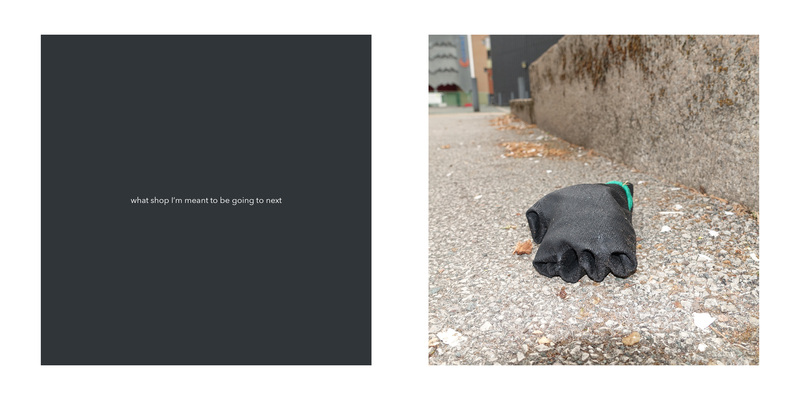 Observation skills and visual awareness figured strongly in the upfront gathering of subject matter for this project – I have been photographing lost gloves in public since before the project started, although it took me a while to articulate why. Design and compositional skills were more to the fore in the selection and editing stages. I decided on a square format and mostly central subject positioning to emphasise stillness, make the images feel quite static. 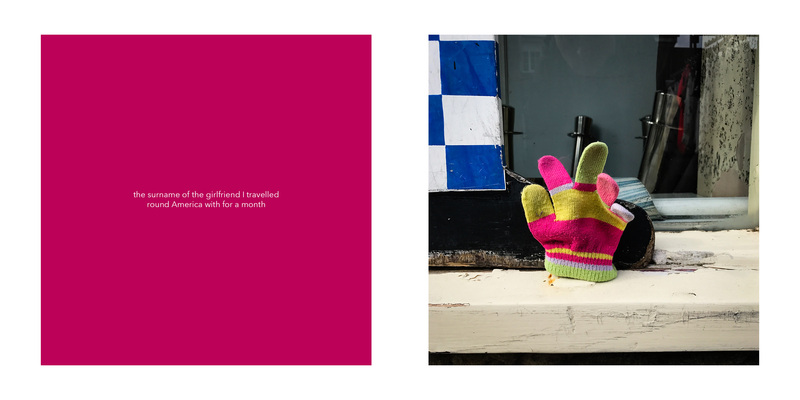 I selected images from the longlist based on visual criteria such as colour range, figure-to-ground ratio, unusual shapes made by the gloves, leading lines and so on. As noted in some preparatory posts, the use of shapes has been a significant influence on this stage of my work. 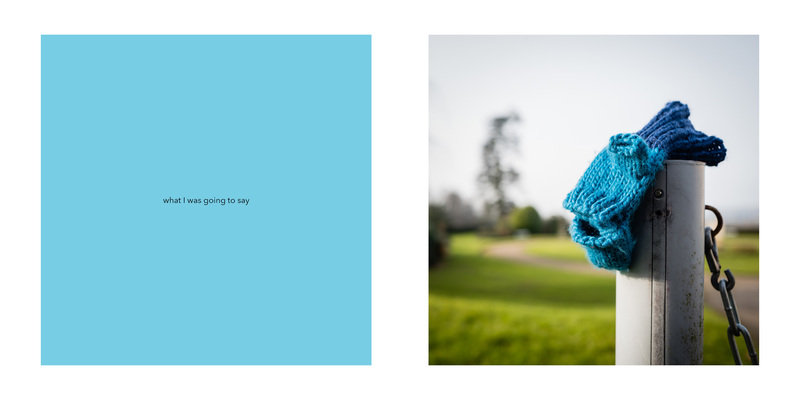 The diptych format with coloured background for the text portions was key in communicating my intent for the words to be seen as equivalent to, not caption for, the images. 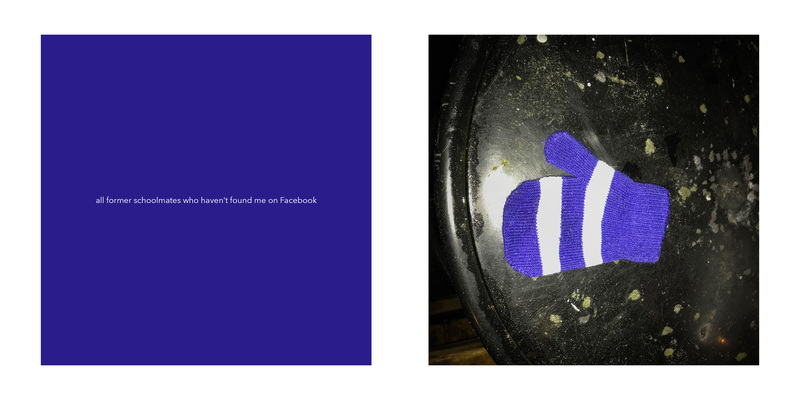 This project marks the first time I’ve hand-made a book. I’ve learnt a lot about book production, from the physical handling of the materials to the nuances of layout and juxtaposition. Sufficiently enthused, I am enrolled on a bookmaking workshop next month. I’m very satisfied with the overall quality of the outcome, after much thought, experimentation, rework and tweaking. Between the first draft and this version I took in a range of influences, research and reading that informed the final outcome. I believe the work is cohesive and intelligible, especially if the viewer takes the time to read the ‘About the work’ statement, yet has a sufficient degree of ambiguity in the pairings of the text and images to provoke viewer engagement. Having ‘tested’ the set on a variety of student peers and non-photographic reviewers, I am confident that the conceptualisation of my ideas has been largely successful in this instance. 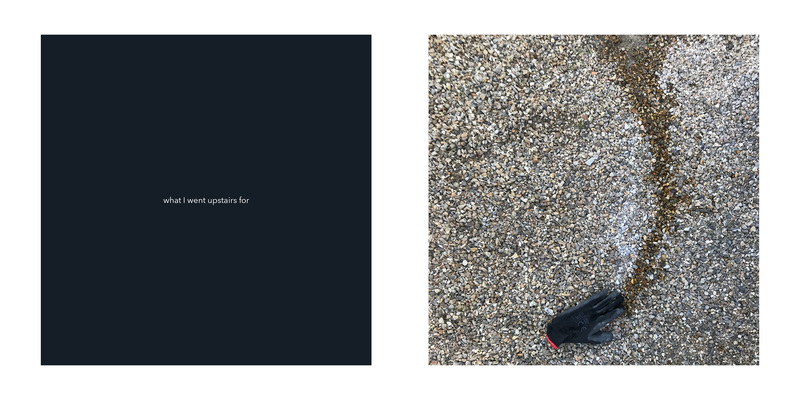 One of the aspects of this project that I am most pleased with is how I changed my working process to share more work, earlier, and to take on feedback as more of an iterative influence rather than an end-point check. 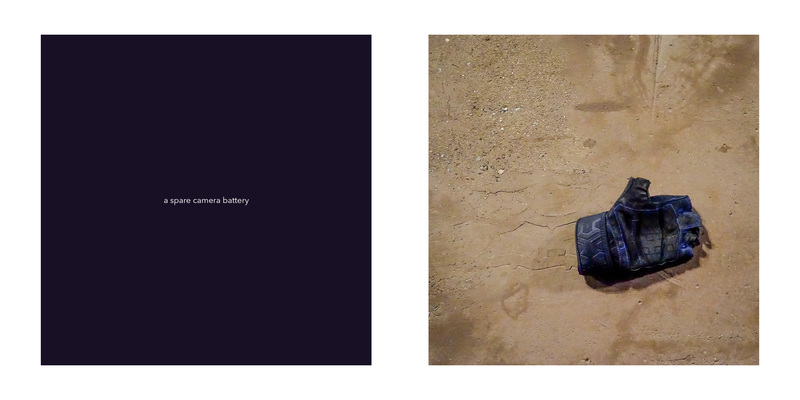 With regard to the presentation of the work, I am satisfied with my first attempts at making a book dummy, though acknowledge that I still have a lot to learn in this regard. 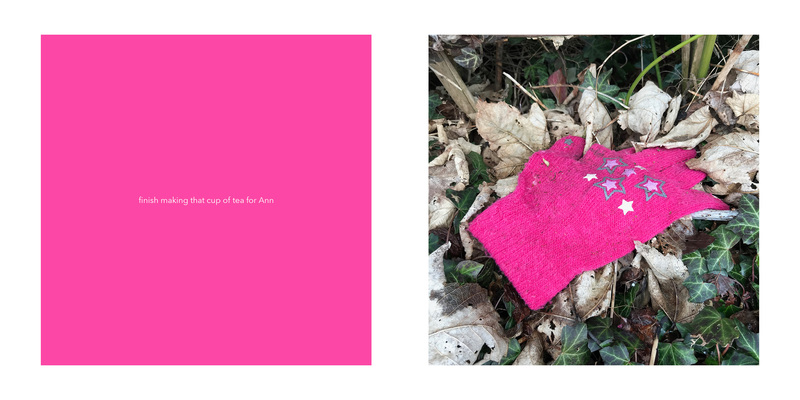 I believe that the video presentation of the book is a reasonable stand-in for physically handling the booklet itself. 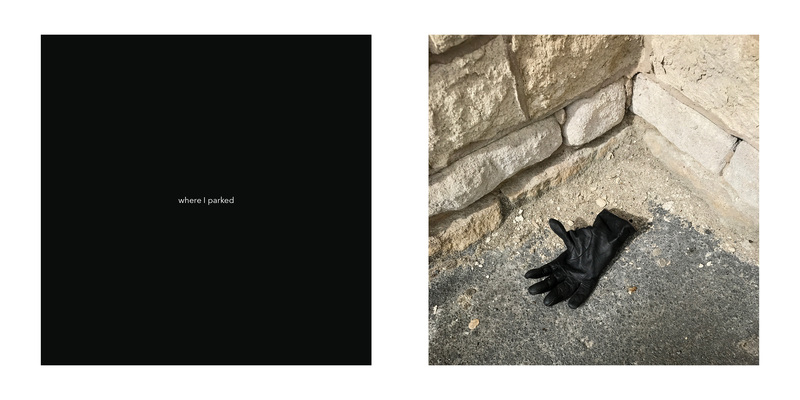 I believe this work demonstrates creativity in the conceptual sense, in using the glove as a signifier for ‘remembering forgetting’, and in the manner in which I have related each image to a fragment of thought. 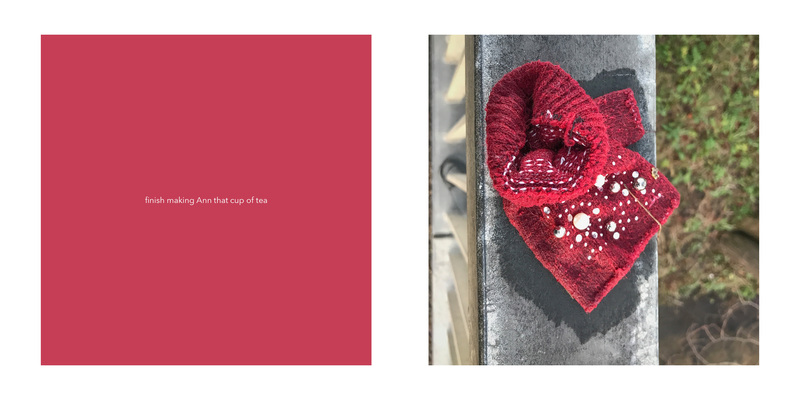 In a visual sense it shows some creativity in the presentation format and use of colours as connection between text and image, though the images themselves are relatively ‘straight’ photography. The personal voice question is interesting here: on one hand I feel this fits with my continuing interest in depicting an internal psychological landscape rather than a purely representational external one; on the other, on a visual level it sees a return to more ‘straightforward’ (non-manipulated) photography. I have ideas on how to further develop this concept for subsequent assignments in a more visually creative way, to better communicate my intended message. 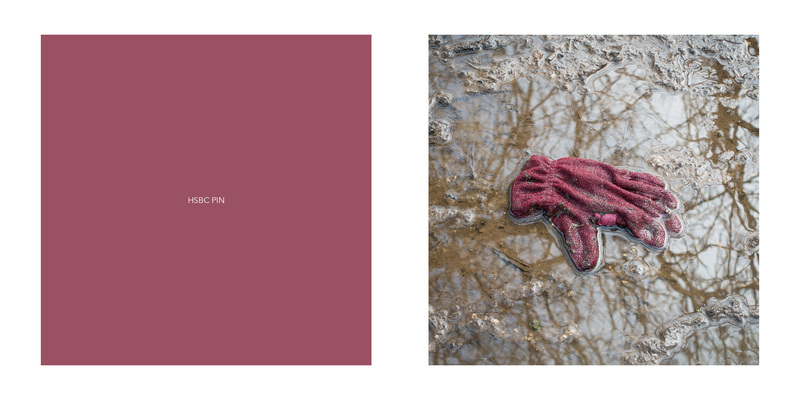 I took time whilst working on this assignment to delve deep into some key photographic projects relating to memory in one way or another, to discern which aspects interested me or could influence my thinking and/or my actual work. Special mention must go to David Bate’s Bungled Memories (2008) and Keith Arnatt’s Notes from Jo (1995), two sets of work that profoundly changed the way I thought about how one can represent notions of memory processes in a photographic practice. 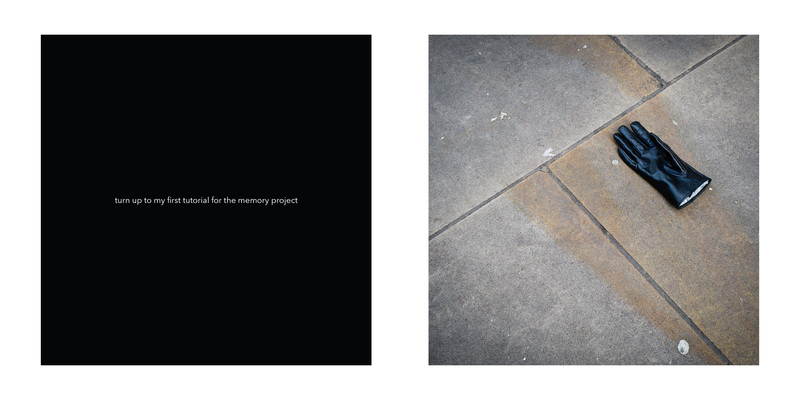 These two bodies of work reassured me that it is possible to illustrate ideas of memory as a system, whereas the majority of other photographic world dealing with memory are more concerned with memories, i.e. the contents of a memory system. The other work that I found a lot of inspiration and artistic nourishment in was Sara Davidmann’s Ken. 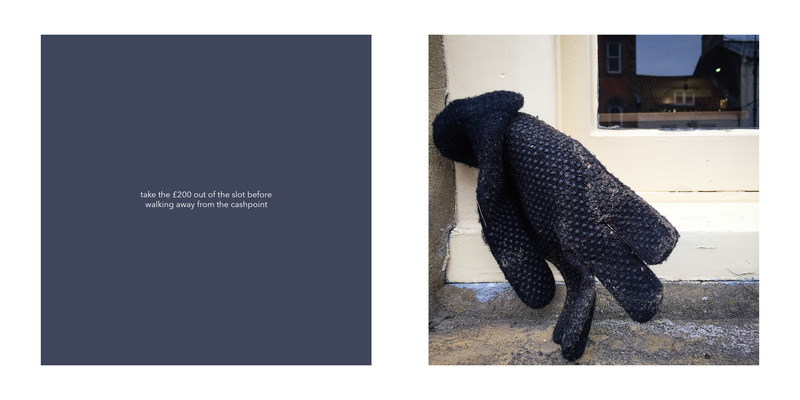 To be destroyed (2016); although it might not yet seem directly relevant to this current piece of work, it is continuing to feed my thought processes for how to take this lost gloves idea forwards. There’s something there about the constructed nature of memories, and how that can be illustrated photographically, that intrigues me. Somewhat belatedly I recognised a visual connection between my work here and Martha Rosler’s The Bowery in two inadequate descriptive systems (1975). This is a work that I had more consciously used as an inspiration for a Level 2 project, and had evidently lodged itself in my mind. This assignment also came after completion of my literature review for Contextual Studies, on the negative relations between photography and memory. This gave me new layers of understanding on how the two interact, and fed much of my subsequent research into specific practitioners and bodies of work. 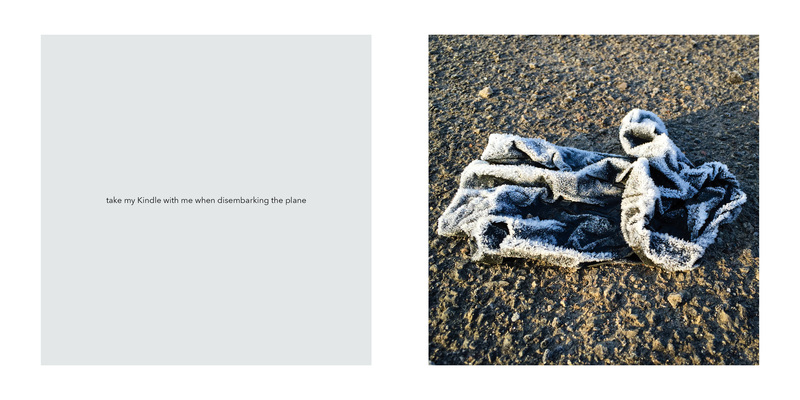 One aspect already mentioned that emerged from my research is the extent to which shape can form an important part of the visual language of an image. I found myself noticing at exhibitions and in photobooks where artists have used shape as a signifier, metaphorically or metonymically. It is only now that I have realised how literally this assignment interpreted this advice! Bate, D. (2016) Photography: The Key Concepts (2nd edn). London: Bloomsbury. Cotton, C. (2015) Photography is Magic. New York: Aperture. Foster, J. K. (2009) Memory: A Very Short Introduction. Oxford: Oxford University Press. Whitehead, A. (2009) Memory: the New Critical Idiom. Abingdon: Routledge. I have enjoyed watching this assignment develop as you have shared your thinking and progress and invited comments. 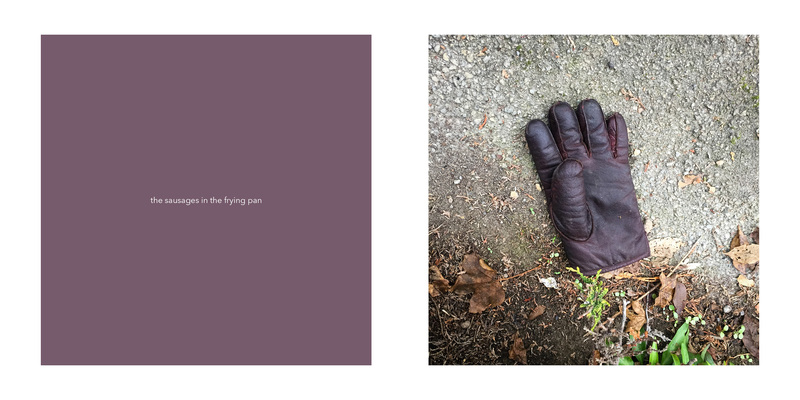 The final presentation works well I think especially your use of colour in the diptychs to tie the words to the image of the glove in each case. The concept ‘remembering forgetting’ is powerfully depicted and goes further than the pairings perhaps to challenge the very notion of knowing the extent of the loss of memory that may lie beneath the surface. I’ve also very much enjoyed seeing this assignment develop. 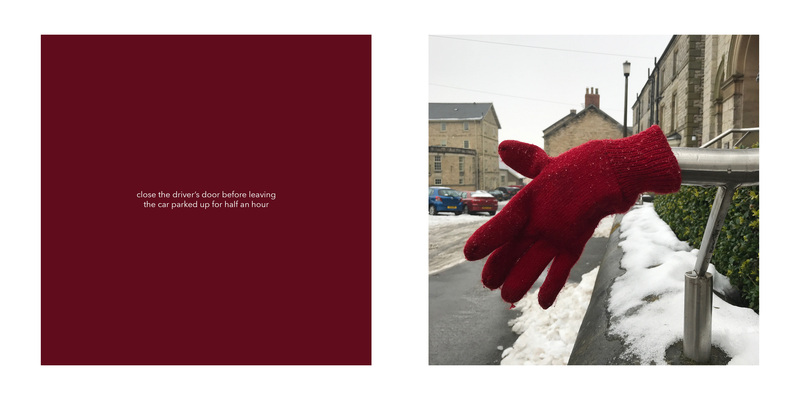 The idea of the gloves is simple but very powerful evoking aa sense of loss, thoughts about the stories if the missing glove, who the people might have been and all with a bit of but also humour. 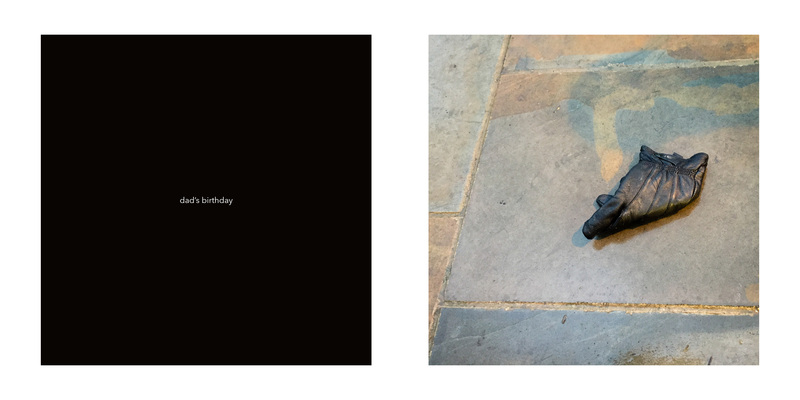 One thought – the last image has feet in it which is the first hint of a human presence i.e. someone else apart from the viewer looking at the glove. Of course we know the camera is looking but now we think about the photographer too. Does this bring an additional meaning? Was it intentional? 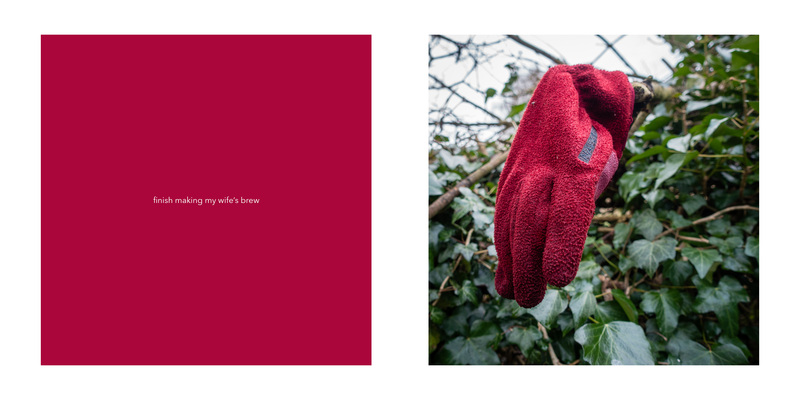 Serious answer (because it’s a great question): the final image where I break the fourth wall and insert myself into the proceedings is deliberately positioned at the end to give the viewer more of a sense of the ‘narrator’ experiencing the spotting of a glove and engaging in the memory-act of remembering forgetting – trying to make it more contemplative than the rest. It’s very literal but it’s a ‘put yourself in my shoes’ kind of thing. Wendy’s advice does indeed seem apposit​e!